There’s a running joke around the region that Pacific Northwest motorists don’t know how to drive in the rain. While I’m not here to debate the validity in that sentiment, there’s no denying that wet weather can play a huge part in automotive crashes. While most Washington drivers understand to use caution with snowy or icy weather conditions, fewer drivers understand that rain can be just as dangerous. 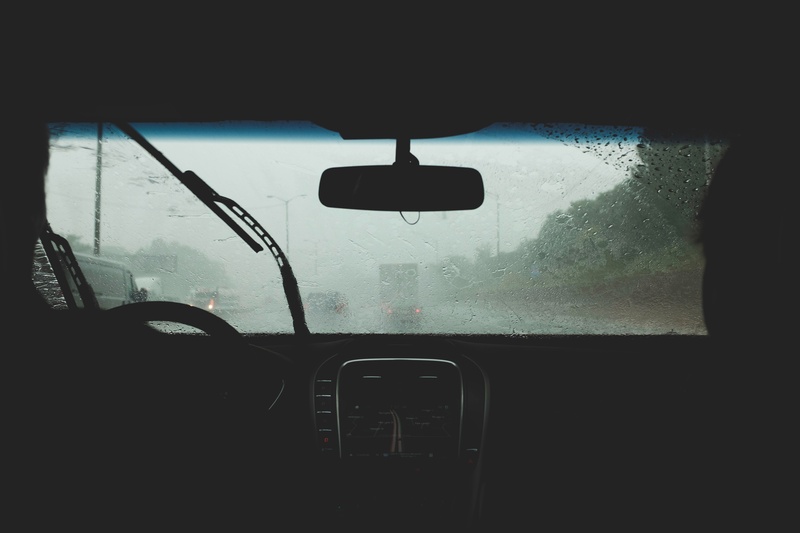 According to the US Department of Transportation, an estimated 22% of all automotive crashes in the United States are weather-related. Approximately 6,000 people are killed and over 445,000 people are injured in weather-related crashes every year. Crash data shows that the majority of weather-related crashes happen on wet pavement or during rainfall. What’s so difficult about driving in rain anyway? Rain can lead to hazardous driving conditions for a number of reasons. When mixed with accumulated oil, engine fluids, and debris, rain can create slippery road surfaces. The mixture builds up at intersections, where cars start and stop frequently. Heavy rain can also impair visibility, preventing drivers from seeing headlights, other vehicles, or standing water in the roadways. When winter comes around, there’s an added risk of freezing rain on the roadways. Ice and driving don’t mix, as the roads become essentially a skating rink. Prepare your vehicle: You should replace your windshield wiper about once a year on average, and the ideal time to do that is just before the rainy season. If they are leaving streaks on your windshield, replace your wipers to be able to maintain a safe field of vision. Be sure to check your tires often for wear and tear. As soon as they start to bald, replace them to maximize the amount of grip you get on the road. Review your driving: Never tailgate during a rainstorm, leave at least five seconds of following distance between you and the car ahead of you. Plan to drive at a slower pace when roads are wet. The speed limit is based on ideal driving conditions, so you are responsible for adjusting your speed appropriately. Be cautious when passing cars or entering an intersection, and avoid driving through pooled or standing water to prevent hydroplaning. As we’re heading into the rainy season here in Tacoma and Seattle, I urged you to be prepared and drive safe. No matter how careful of a driver you may be, auto accidents can happen to anyone. Rain, snow, sleet, or fog – driving in any type of severe weather can significantly increase your risk of getting into a dangerous situation for you, your family, and other drivers. If you find yourself in a weather-related car crash this fall or winter, contact your Tacoma auto accident attorneys at Evergreen Personal Injury Counsel. My team and I have experience dealing with a variety of auto accident personal injury cases, ranging from motorcycles, bicycles, commercial trucking vehicles, and also vehicles hitting pedestrians. This blog post was originally posted on John Christensen’s website.